Our staff are professional & efficient, as well as bonded and insured for your comfort & security. And enjoy all the free time you'll have to spend with your family and friends. Nothing says "professional" to your staff & clients like a clean place of business! Our cleaning services will cut your to-do list in half when it comes to the big job of moving. WAITING LIST IN EFFECT UNTIL FURTHER NOTICE. 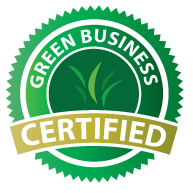 Girls Gone Green Cleaning Agency provides professional, environmentally friendly cleaning services for your home and office, in the Vernon & Salmon Arm area. We are fully insured and bonded for your ease of mind and protection. We look forward to providing you with the best commercial and residential cleaning services in the area. …Cleaning services for your home, vacation property, office and more. If you don’t see your area listed here, feel free to call and inquire about availability.